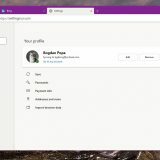 Today WindowsMode.com is officially open, we have been in Beta for the past month and half but now we are ready for the public to digest everything we have on our web site. 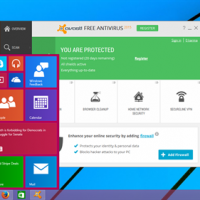 With that said, today we will feature the best Anti-virus apps for Windows 10. 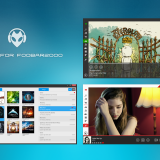 Also, even if you don’t have Windows 10 or Windows 8.1, these apps will work just fine on Windows 8 and Windows 7, cool right? 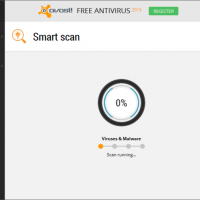 Do you need an Antivirus Software on Windows? 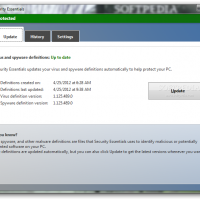 Yes, yes you do need some sort of antivirus app for your Windows OS and my reason for saying that is simple. 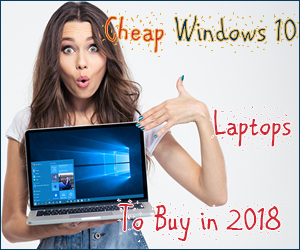 90% of all viruses are targeted towards people like you and me, people who have Windows OS installed on our computers. 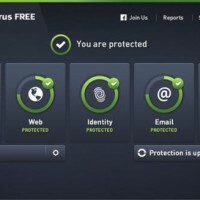 To me, it’s a requirement to have some sort of Antivirus App on any and every Windows system you have, I don’t care if you are reading this on a Windows XP or Windows 10 laptop, you must protect yourself, your files and the best way to do that is to get a good and trusted Antivirus app installed right away, with that said, lets begin with our list. 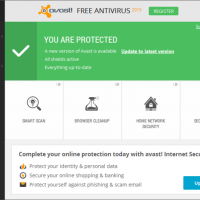 Avast Antivirus has been by far the best Antivirus software I have ever installed and I really mean that. No virus has gotten past it’s detection system on my Ubuntu desktop, iMac or my Windows 10 laptop for the past 6 years and it’s simply, perfect. This is my personal review as the webmaster so I highly and I mean highly recommend you try this one out. By the way, it’s also free for those of you on a bit of budget. You don’t have to worry much about system requirements, if your computer was built within the last 7-8 years, it will work just fine even with the latest Avast, just make sure at least you have enough space on your harddrive, you can’t have a good running PC if you only have like 100mb free space, you will need at least 2gig of free HD space for any of these programs on this list to function correctly. AVG AntiVirus comes in three models: Free, Pro, and Internet Security. 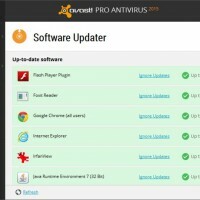 AntiVirus Free includes AVG’s antivirus engine, Link Protection, and File Shredder. Pro adds protection like Online Shield and Data Safe. Internet Security offers Pro features as well as Anti-Spam and Enhanced Firewall. 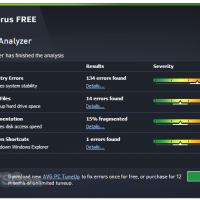 AVG AntiVirus Free 2015 has moved away from Windows 8 Modern’s flat appearance to a more button-centric, streamlined interface, and the app is paired with AVG’s Zen for managing scans remotely. A basic security kit with a bonus: AVG AntiVirus Free can fulfill your everyday security needs with its powerful antivirus scanning engine, software behavior tracking tool, and link and email scanner. 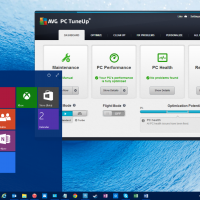 In addition, the suite is compatible with the new AVG Zen, which allows you to check your Windows, Mac, and Android devices. 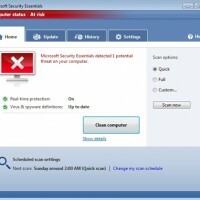 You can log in on your PC or via Android app to schedule scans, view malware reports, and troubleshoot from anywhere. Intuitive design: Large overlay buttons separate tool categories, and quick toggle buttons are easily accessible for both touch navigation and traditional mouse and keyboard. Panda Security’s technologies provide an intelligent protection system based on a user community where everyone contributes. Your computer will always be up-to-date and protected. Additionally, your PC won’t restrict the detection power as Panda’s huge virus detection database is located on the Internet (the cloud). Avira Free Antivirus includes protection cloud technology Built upon the same award-winning technology found in our premium products, Avira Free Antivirus helps keep your PC malware-free while protecting your privacy. 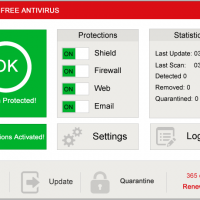 Lightweight and powerful, Avira Free Antivirus offers Real-Time malware detection, privacy tools and safety ratings for your search results. 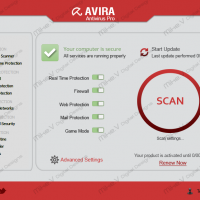 Feature Set: Advanced Real-Time Protection: With Avira Protection Cloud detection technology. AntiAd/AntiSpyware: Blocks Adware programs and online snoops. 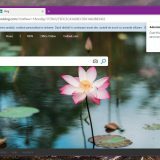 Browser Tracking Blocker: Prevents others from recording your online habits Website Safety Advisor: Clear safety ratings for your search results (these features are included in the Avira Browser Safety – a browser extension for Firefox and Chrome). 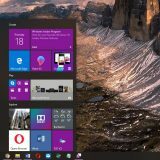 Microsoft Security Essentials gives you high-quality protection against viruses and spyware, including Trojans, worms and other malicious software. Security Essentials is easy to install and easy to use. Updates and upgrades are automatic, so there’s no need to worry about having the latest protection. It’s easy to tell if you’re protected – when the Security Essentials icon is green, your status is good. It’s as simple as that. When you’re busy using your PC, you don’t want to be bothered by needless alerts. Security Essentials runs quietly in the background, only alerting you if there’s something you need to do. 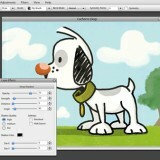 And it doesn’t use a lot of system resources, so it won’t get in the way of your work or fun. Remember to like our facebook and our twitter @WindowsMode for a chance to win a free Surface Book tablet every month! Today’s Popular Microsoft Article: What is Azure? Previous story What Is Microsoft Azure?